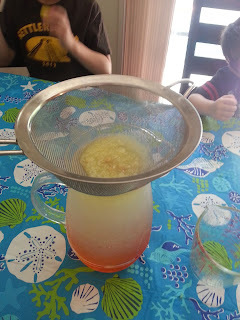 Make Your Own Delicious and Easy Lemonade! It's SO good!! My kids love lemonade! After watching an episode of Special Agent Oso where his special assignment was to help a little girl make lemonade, they insisted that we make our own lemonade too. 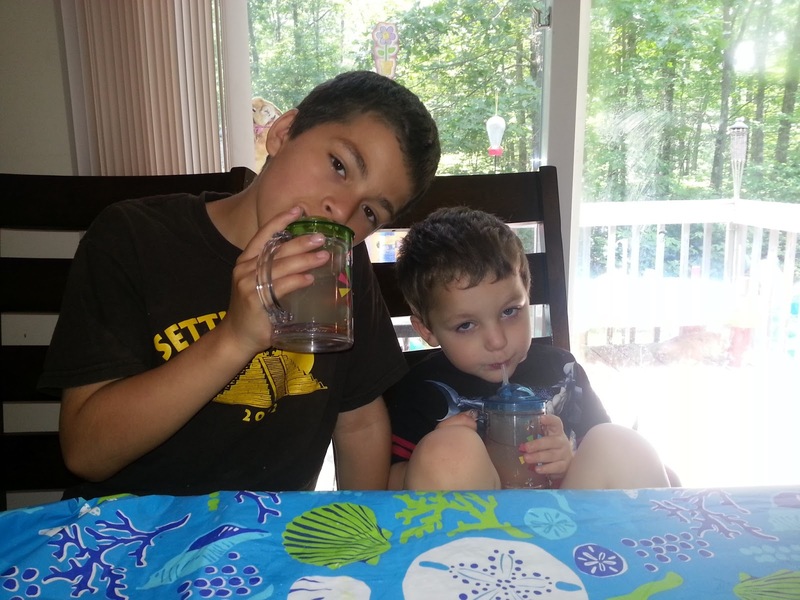 I promised them I would make fresh lemonade with them over the summer. 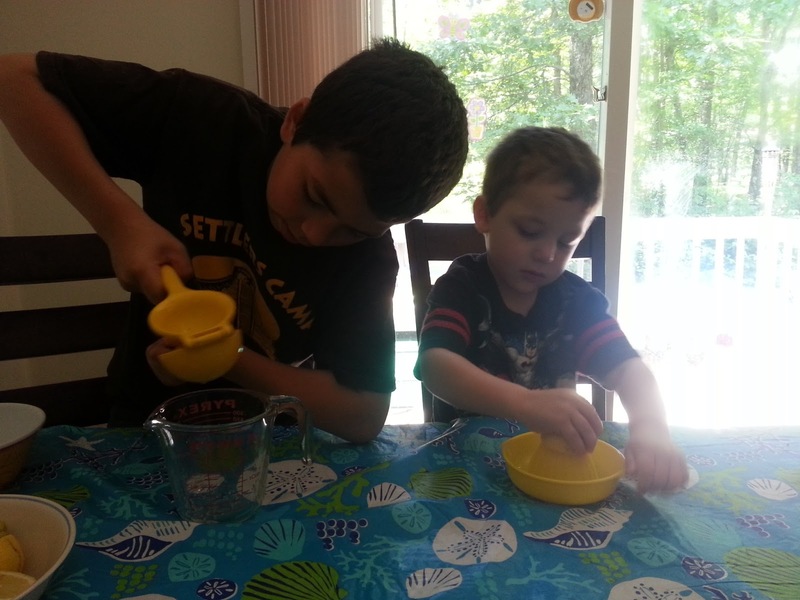 Setting up their Lemonade Stand Sensory Tub a week or so ago really renewed their interest. 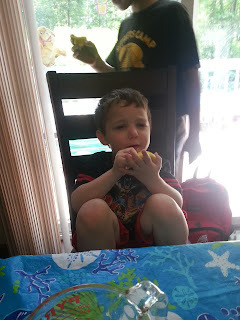 This was my oldest son's first full week of summer break, so I figured we better make it. 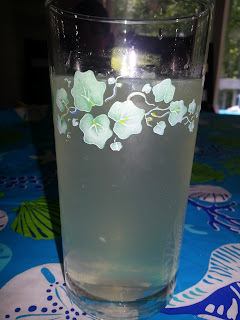 This is a very simple recipe and the lemonade tastes absolutely amazing!! We started out with a pitcher filled with 10 cups of cold water. I filled the pitcher with the water and put it in the refrigerator the night before so it would be nice and cold and ready to drink as soon as we were finished. 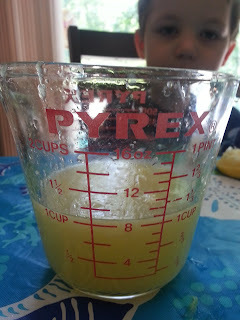 We added 2 cups of sugar and mixed it until most of the sugar evaporated. 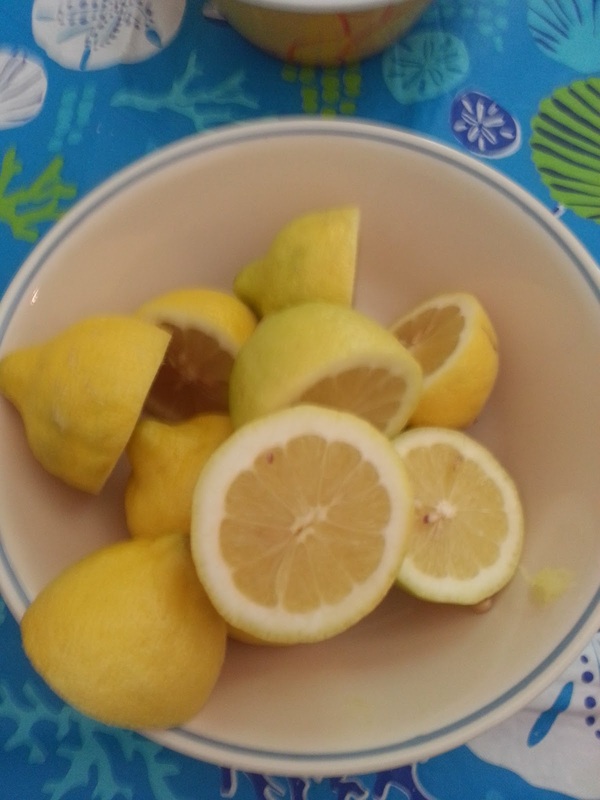 I applied pressure and rolled 7 lemons to help release their juices and then cut them in half for my kids to juice. They were exhausted by the time they juice the 14 halves! They had no idea that it was so much arm work to juice a lemon! 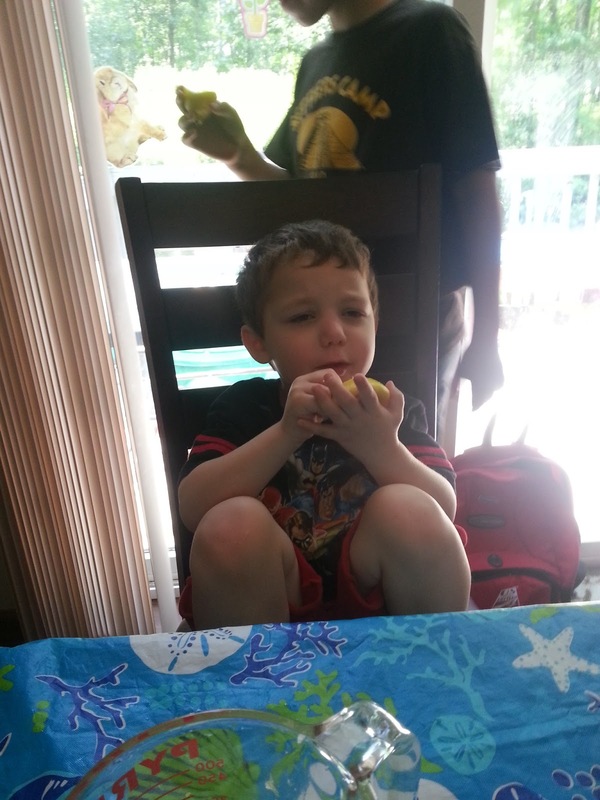 Of course they felt the need to try the lemons when they were done! My little guy's face is absolutely priceless, isn't it? The 7 lemons gave us just over a cup of lemon juice. Which we poured through a sieve so that it would collect all of the pulp and the seeds. If you prefer some pulp, you can add back in as much or as little as you want. They were in heaven and so was I! They couldn't believe how much work it was to make (just the juicing of the lemons part), but they said it was definitely worth it! 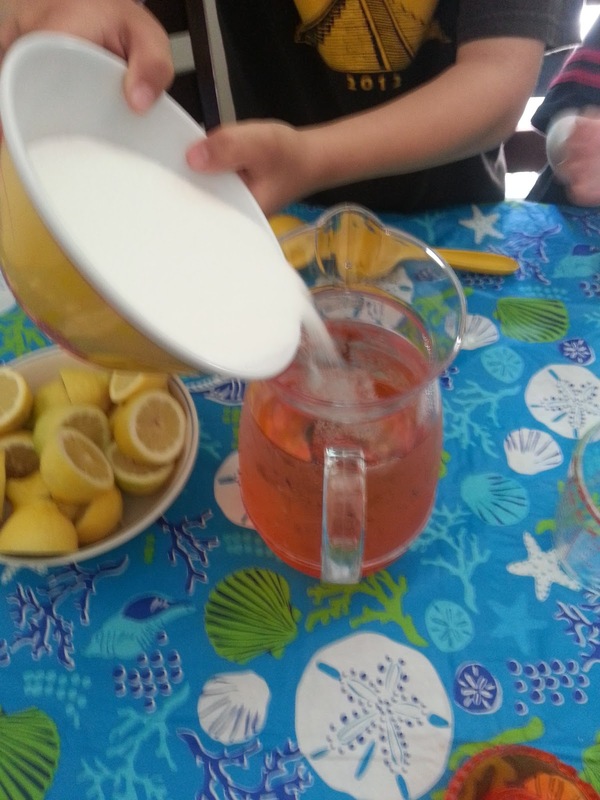 They also decided that we should make a different flavor of homemade lemonade each week of the summer! Next week is Watermelon Lemonade! 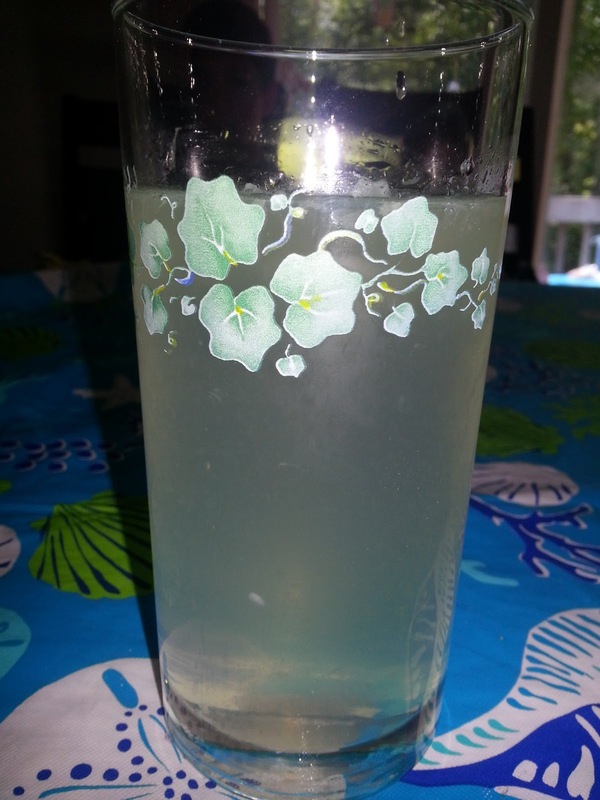 I love making homemade lemonade, it's so yummy! Yum! 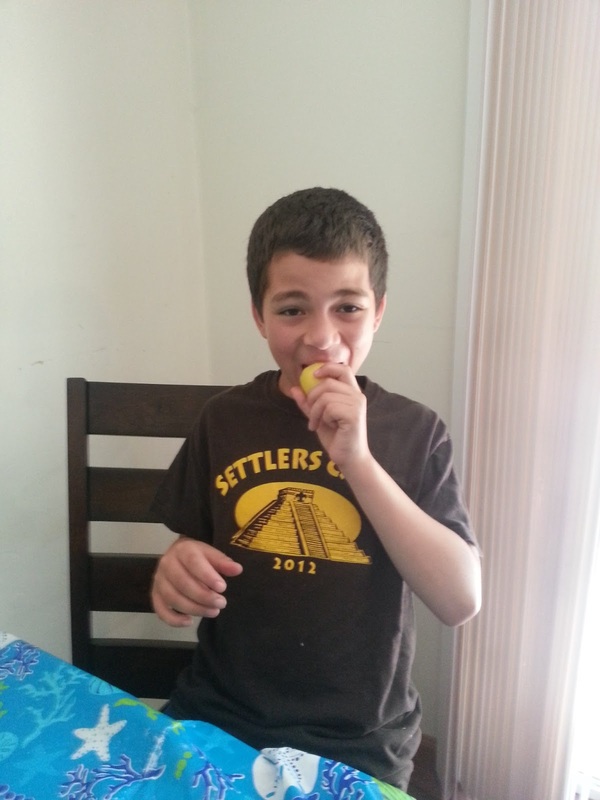 We love lemonade too. My brother-in-law just bought a house and has a lemon tree. I think we need to go pick some lemons and make some of our own.